Brett Donahue as Enrico Jr. 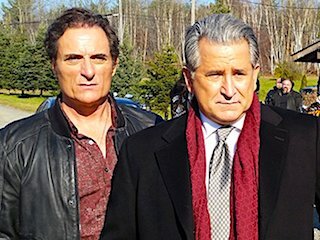 The former boss of a Montreal crime family, after being released from prison, seeks revenge on those who put him there and caused the deaths of his family and friends. Based on the 2015 book Business or Blood: Mafia Boss Vito Rizzuto's Last War by Antonio Nicaso and Peter Edwards. 7. 2-1                 11 Oct 18   Who are You?